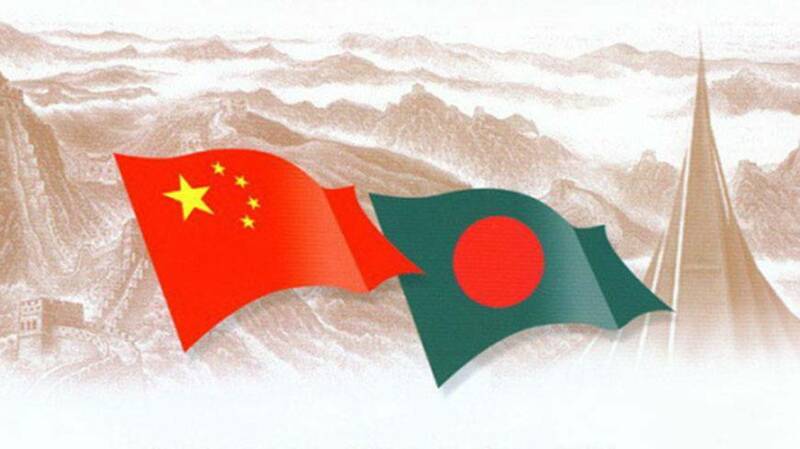 Bangladesh as a very important country, on Tuesday, the leader of the Chinese delegation to visit China, Wang Chunhui reach the next stage of development in Bangladesh to support its investment in the 'fast' '. "China will speed up investment in Bangladesh and will help boost production capacity," he told a seminar in the city is the dream and Bangladesh and China are connected with both mentioned that. Wang Chunhui, a former Chinese ambassador to Bangladesh, China, qualified Chinese companies' investment in Bangladesh and Bangladeshi company to establish a joint venture is designed to encourage. As their second home as Bangladesh, Bangladesh and China to benefit the people of both countries by strengthening cooperation on all fronts in relation to the need to maintain the momentum. The auditorium: 40 years of partnership Bangladesh-China Relations' International and Strategic Studies (BIISS) Bangladesh Institute organized a seminar titled. Foreign Affairs M Shahryar Sheikh as a guest of the state's Chief Minister spoke at the inaugural session of the seminar. Foreign Secretary M sahidula right, Ma Mingqiang Chinese Ambassador in Dhaka, cIISS Chairman Munshi Faiz Ahmad, BIISS Director General AKM Abdur Rehman Farooq Sobhan, former Bangladesh ambassador to China, also spoke at various sessions of the seminar. 1997 also spoke on various aspects of the relationship had worked in Bangladesh, the Bangladesh Hu Qianwen, Chai Xi and Zheng Qingdian visit three other former Chinese ambassador. The leader of the Chinese delegation to boost bilateral ties between the two country's high-level exchanges, vigorous and practical emphasis on maintaining support. On trade issues, China to further strengthen trade ties with Bangladesh free trade agreement (FTA) 'is ready for signing. Bangladesh-China and Indo-Myanmar (BCIM) focuses on economic corridor, former Chinese ambassador to China and expand cooperation in contact BCIM issue to get quick results among the four countries signed an inter-governmental deal is ready . Shahryar Sheikh in his speech to the socio-economic development of Bangladesh, China's firm commitment repeatedly legitimate desire to fulfill the will of his people and to assist Bangladesh in his continued efforts to prove. "We both labor-intensive and technology-intensive business ventures exponential growth in investment and employment to secure mutual expected to create leverage points to create two special economic zones, which are working together," he said. State Minister of Bangladesh as a lower-middle-income country has been shaken and policy to the economic growth of 8 percent a year and are en route. "China is large and rapidly growing economy, and also with being a role model for us, we process in a high example is the Chinese experience and to short-circuit our growth trajectory want to learn," he said. Shahryar tour of several high-profile exchange of visits between the two countries this year is taking place. "We have until the end of this year a high-profile visit to the presence of English will be pleased with this year, which is expected. This year we have between our two countries intensify existing partnership Cooperation nearly universal to be another year of should. " He also strongly Bangladesh Bangladesh-China-Indo-Myanmar Economic Corridor (BCIM- EC), a belt-one priority road and regional initiative to contact other positive measures, not just the two people's socio-economic situation will change, believes that it is said, but the people of this area. "We in this region and beyond for most of us to create a stable financial future growth in China and other friendly look forward to working together with partners," he said. Current Chinese Ambassador Ma Mingqiang the two countries that will benefit the next generation of New Heights Bangladesh-China relations is expected to bring. Farooq Sobhan as far as the Bangladesh-China relations are concerned, the sky is the limit '' said the existing relations and described various aspects of capacity.